Theresa May has told the public she is “on their side”, laying the blame for the delay to Brexit squarely with MPs. Speaking from Downing Street, the prime minister said people were “tired of infighting and political games” and it was “high time” politicians made a decision on the next steps. She said the postponement was a “matter of great personal regret”. The PM reiterated she would not be willing to extend Brexit any further than that date – despite appeals from some MPs for a longer extension to give time for a change in direction. Mr Tusk said he believed the EU would agree to a short extension, but only if the withdrawal deal negotiated by Theresa May is signed off by MPs next week. In her statement, Mrs May said: “Of this I am absolutely sure. You the public have had enough. 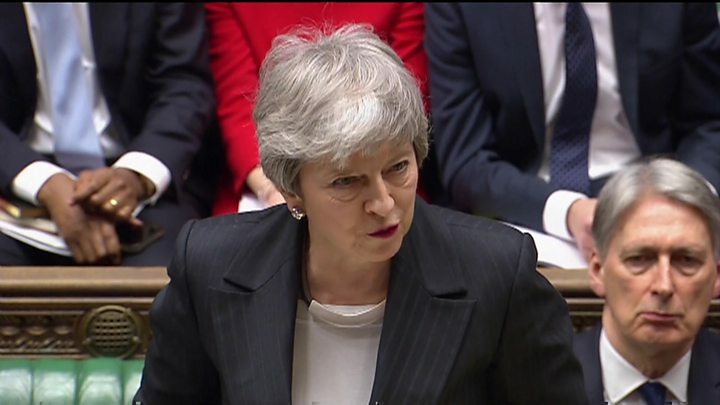 The PM said it was “now time for MPs to decide” whether they wanted to leave with her deal, no deal or whether they chose not to leave at all – the latter she warned could cause “irreparable damage to public trust” in politicians. “So far Parliament has done everything possible to avoid making a choice,” said Mrs May. Theresa May has now framed the crisis over Brexit as a battle between the people and Parliament, blaming MPs for the fact Britain’s departure looks like being delayed. She said people were tired of the delay and that she was, as she put it, on their side. Her tone has infuriated MPs from all parties, who blame her for the problems with the Brexit process. It’s hard to see how her attack will help her win support for her deal in any third vote. And the big question now is can MPs who don’t want her deal – or no deal – do anything about it between now and next Friday? British politics feels at breaking point. Mrs May was forced to seek a delay to Brexit after MPs twice rejected her deal by massive margins and voted to reject a no-deal departure. She will travel to Brussels for a summit of EU leaders on Thursday, and is expected to discuss the extension with other member states. During Prime Minister’s Questions, Labour leader Jeremy Corbyn said she was leading the UK into “crisis, chaos and division”. 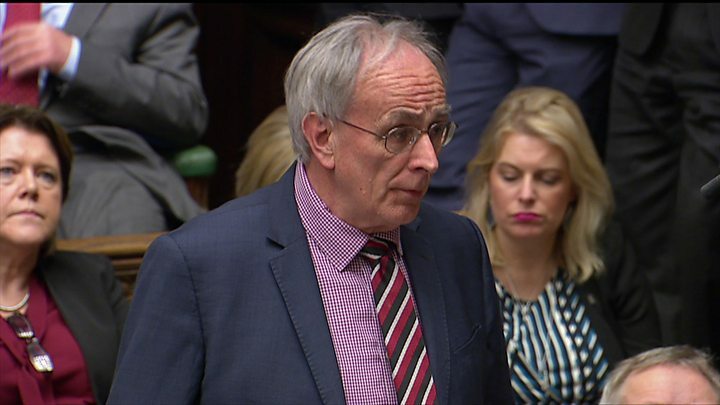 The SNP’s Pete Wishart, who wants another EU referendum, accused her of “caving in to Brexiteers”, while the Leave-backing Tory MP Peter Bone told her she would be “betraying” the public if she continued to seek to a delay. Media captionConservative MP to May: “History will judge you at this moment”. The prime minister met opposition parties to discuss her proposal for a delay on Wednesday evening ahead of her statement, but sources told the BBC Labour leader Jeremy Corbyn walked out and other leaders remained unimpressed with what they heard. Mr Corbyn will travel to Brussels on Thursday to meet the EU’s chief negotiator Michel Barnier. He is also expected to hold talks with several EU 27 leaders. Meanwhile, an emergency debate took place in Parliament on Wednesday afternoon, with Labour pressing for further detail about the PM’s intentions and demanding that any delay is long enough to allow MPs to “break the impasse and find a way forward”.